Formlabs’ first user conference, FUSE 2017, is fast approaching: we’ll be gathering with some of our most enthusiastic users on June 6 at the MIT Media Lab in Cambridge, MA. Everyone at Formlabs HQ is deep in the planning process, and we couldn’t be more excited about how it’s coming together. We’ve added some incredibly talented industry leaders to the speaker lineup, but the panels aren’t the only activities to look forward to. Here’s a quick look at some of the most exciting things we’ll be showing off at our very first Formlabs user event. We’re really excited that three Formlabs users who’ve featured in past videos about innovative techniques accomplished with 3D printing will be joining us in person. Zeb Wood, a lecturer in Human Centered Computing at IUPUI, is the technologist behind the Shirley Technique, a collaboration with Dr. Travis Bellichi that led to a new digital method of creating artificial facial parts. After Shirley Anderson lost his jaw to cancer, Zeb Wood and Dr. Travis Bellicchi created a prosthesis through 3D printing. Lyman Connor, Global Design Lead of Turbine Controls at General Electric by day, spends his spare time developing affordable custom prosthetics that are already in use and changing lives. 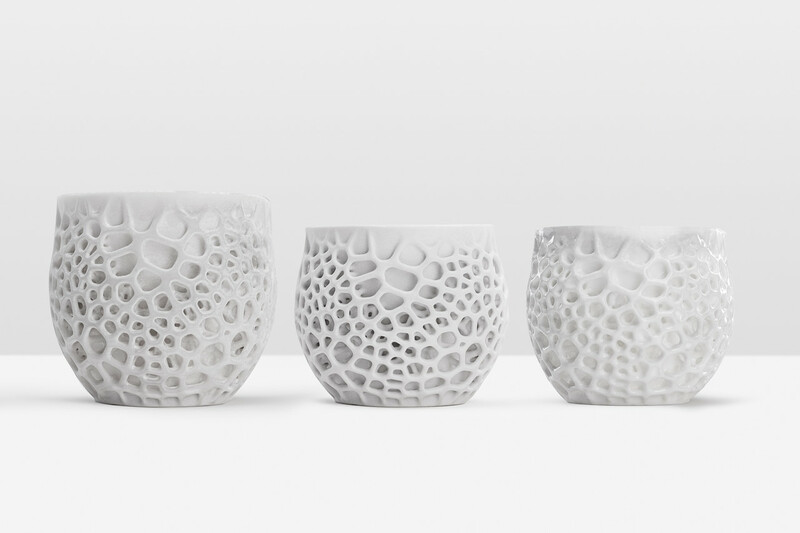 The first production run was directly printed in Formlabs Tough Resin. By day, Lyman Connor works as a software engineer. By night, he builds 3D printed custom prosthetic hands. Kat Ely, Principal Designer and Co-founder at product design consultancy CLEAR Design Lab, made her first appearance on the Formlabs blog in an interview about agile manufacturing a robot hand and using 3D printing as an integral tool for successful, collaborative manufacturing alongside Righthand Robotics. How RightHand Labs and CLEAR design lab collaborate to produce ReFlex Hands. Check out sensational prints and designs from Formlabs users in the exhibitor hall, including an installation designed by applications engineers Amos Dudley and Aashman Goghari from Formlabs and classics like our 3D printed camera and violin. Chat with the makers of some of your favorite hardware and software, like Pinshape, Formech, RightHand Robotics, and Tulip, with more to be announced. 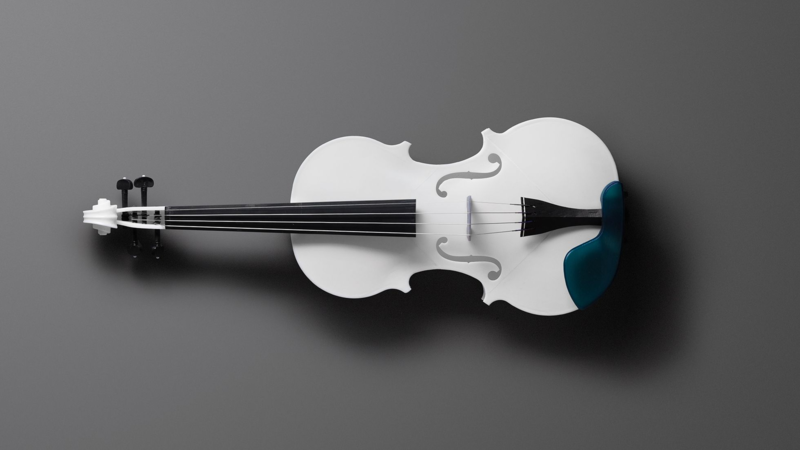 Violin printed in White Resin, designed by Formlabs engineer Brian Chan. We’ll be featuring Formlings on several panels at the event, including a candid discussion about the making of Formlabs products including successes and failures along the way, a talk about product design, and a behind-the-scenes glimpse at how our in-house materials team works. During the day, meet Formlings on the exhibitor floor. After the conference, come to Formlabs HQ in Somerville for a party and mingle with each other and the team. Acquaint yourself with Formlabs flora and fauna. Pictured here: Stine, Stephen, and Matt. Get a sneak peek at the future of Formlabs and 3D printing: we’ll be showing live demos of products to come and announcing some very big news. The future of Formlabs isn't just about stereolithography and the Form 2. We’d say more, but we aren’t allowed to talk about it here yet. Ceramic Resin, an experimental material we showed off for the first time at CES 2017. Wander around the Isabella Stewart Gardner Museum, a beautiful space currently featuring a sculpture by Philip Beesley with components printed on the Form 2. Grab a nitro cold brew at Loyal 9, one of our favorite caffeine watering holes right near the Formlabs office. Order the Cocktail of the Day at Backbar, the speakeasy owned by our creative director, Tse Wei. Celebrate the Year of the Rooster by seeing 3D printing-related public art on the Rose Kennedy Greenway, a park built atop the tunnel system created by the infamous Big Dig. Visit the MIT Museum, right near the Media Lab, to see science-centric exhibits about robotics and AI, holography, gestural engineering, photography, and more. See an MIT Design Lab project, the Tangible Map, that combines Form 2-printed parts, light, and detailed model buildings to radically rethink the way we access information and data.